provide for regular gatherings of Ordained Elders for continuing formation in relationship to Jesus Christ through such experiences as Bible study, study of issues facing the church and society, and theological exploration in vocational identity and leadership. assist in plans for individual study and retreat experiences. 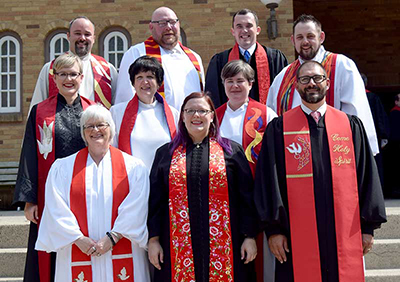 develop a bond of unity and common commitment to the mission and ministry of The United Methodist Church and the annual conference. hold accountable all members of the order in the fulfilling of these purposes. All of the functions of the Order shall be fulfilled in cooperation and coordination with the Board of Ministry and do not replace the normal supervisory processes, the processes of evaluation for ordained ministers, or the responsibilities of the Board of Ministry, the cabinet, or the clergy session.